Feeling beachy? Our 36' long Palm Slip & Slide is sure to give off a tropical vibe and is quite a blast! 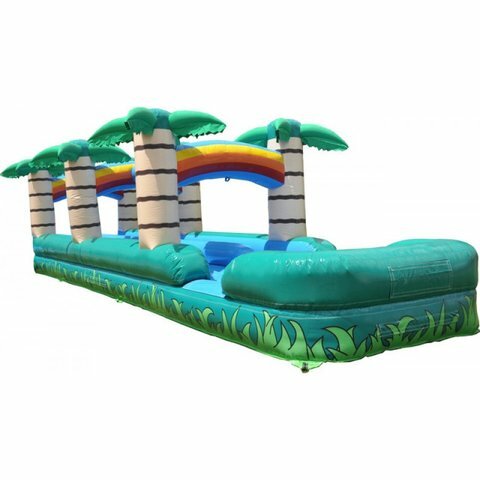 With rainbow arches and palm trees galore, the Palm Slip & Slide is the perfect addition to any party! This two lane slip 'n slide will provide hours of wet and wild racing! Ready, set, reserve yours today!